Are you needing a little help with Christmas Presents this holiday season? 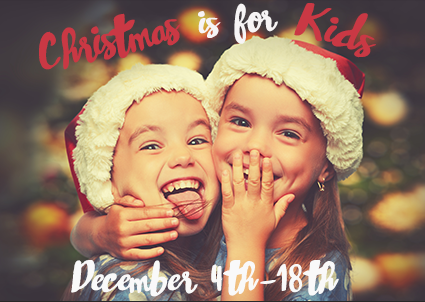 We are giving away gifts for kids ages 4-14 years old! We will be having sign-ups until Sunday, December 18th! Please sign each child up to receive a gift below. Every parent must be present for their child to receive their gift. Sign up your child(ren) here!